The equip® Push-In Pop-Out TV Mount Bracket is a mounting solution quick to install, and easy to configure. 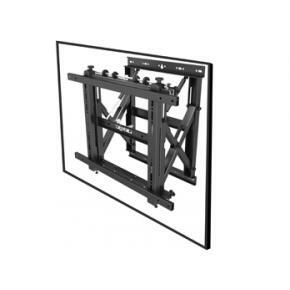 This is a professional mount focusing on single or multiple screen installations, easy and fast installation and simplified maintenance. The Push-In Pop-out feature gives easy-access to any display for quick serviceability, especially at video wall applications. This is one of the major functions needed when building a video wall mounting solution or when integrating a single screen into the wall.